The city of Fort Worth has partnered with Parkmobile to provide a convenient way to pay for parking using your mobile phone. Registering with us is free, and it takes less than two minutes to join. 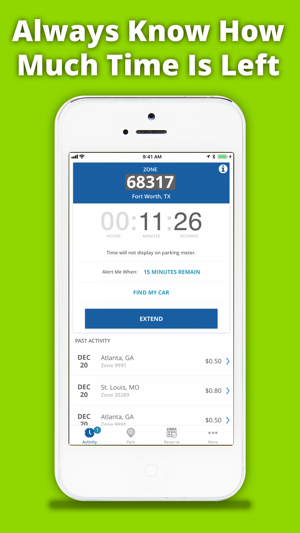 The FW PARK App takes the stress out of parking. No more searching for coins. No worries about an out-of-service parking meter. With FW PARK, starting your parking session takes just a few seconds. You can extend your session on-the-go (where permitted), as well as save “Favorite” and recently used zones. Customers may register multiple vehicles to one phone number, and if you’re driving a different car, you can quickly change the license plate number within the app. Users can also opt-in to receive notifications 15 minutes prior to your parking session expiring. 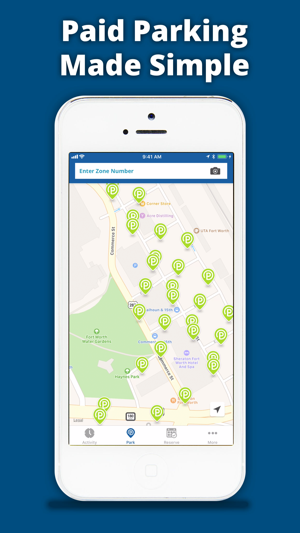 We provide secure online access to your parking data so you can track your parking expenses, change your account settings, or print a report. You can also easily export information for expense reimbursements. Parkmobile, LLC is the leading provider of mobile payments, with offices and a call center here in the U.S. Parkmobile is offered all over the country in on- and off-street spaces, with millions of registered users. Registration with us is free, and you’re under no obligation whatsoever to use Parkmobile once you join. Good news for Masterpass users! We’ve improved the checkout process. No need to log in every time you pay. Just log in once and you are all set. Make sure to reauthorize your Masterpass account to active this new feature. Don’t miss a second of the big game or concert because you can’t find parking. Make event parking reservations right in the FW Park app! Just select the “reserve” icon, search for your venue and you will find all the upcoming event parking options. Available in hundreds of stadiums, arenas and theaters across the country. 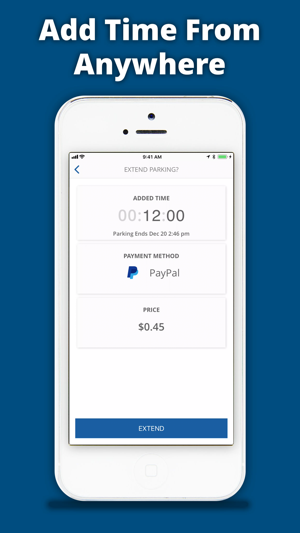 Parkmobile is a third-party payment option that takes the hassle on on demand parking. All sessions outside of reservations sill start real time meaning you can not pay for a date in the future or for a particular lot. We encourage all users to start parking session after arriving at the parking lot as we cannot guarantee parking availability prior to arrival. I apologize for the inconvenience. If you have any additional questions or concerns please send us an email to feedback@parkmobile.io. I like that the app has two payment options being Apple Pay and other credit cards and I think even a family sharing option.